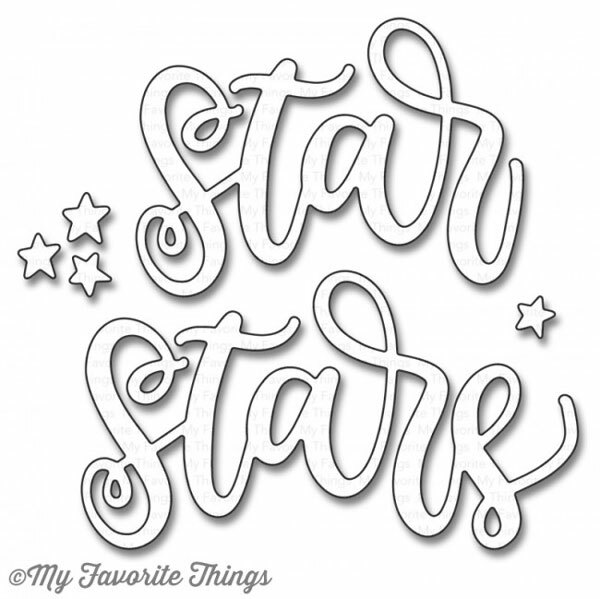 Shining Stars Die-Namics by My Favorite Things. 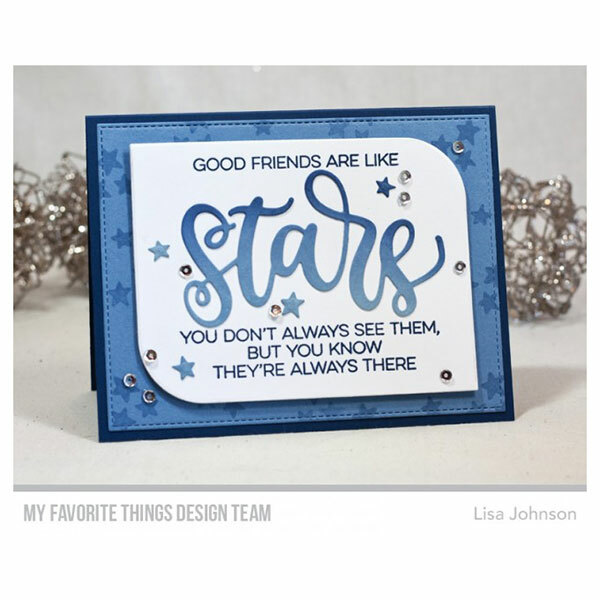 Light up your projects with the illuminating Shining Stars Die-namics. 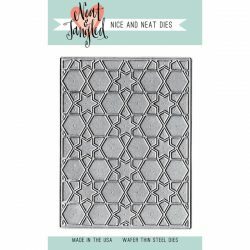 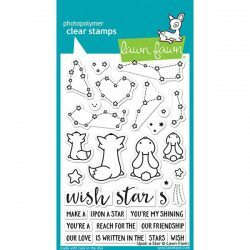 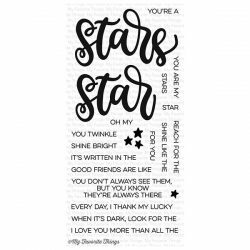 Star and stars are depicted in a gorgeous, flowing font that will mix and match with the simply lettered sentiments included in the Written in the Stars stamp set. 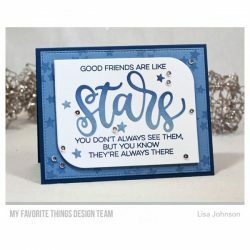 Accent your twinkling looks with peek-a-boo stars, die-cut stars, or a mix of both! 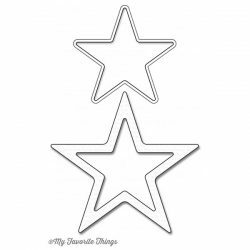 This 4 piece set includes: “star” 2 ¾” x 1 7/8”, “stars” 3 ½” x 1 7/8”, Single star ¼”, Star trio ¾” x ¾”.